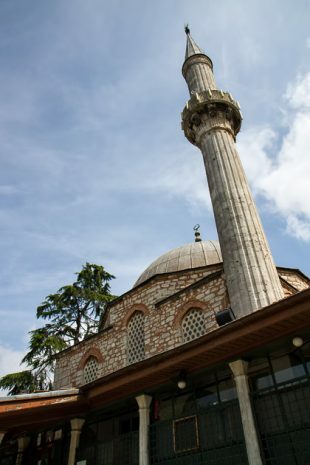 The Yeni Camii translates to “New Mosque”, and really demonstrates the problem inherent in naming things “New”. 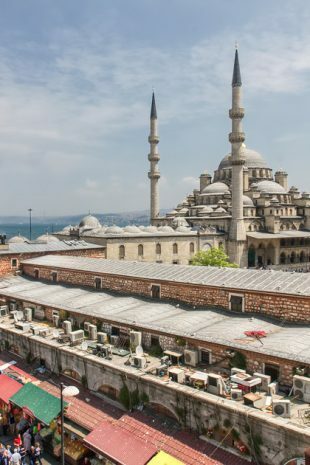 Sure… back in 1665, the Yeni Camii was Istanbul’s great new mosque, and everybody in the Ottoman Empire was freaking out about how brand new it was. 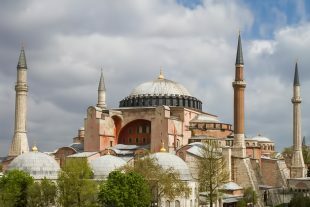 But 350 years later? Not so much. 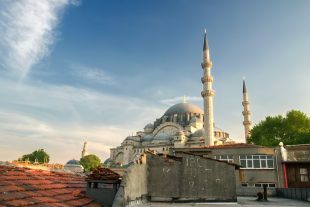 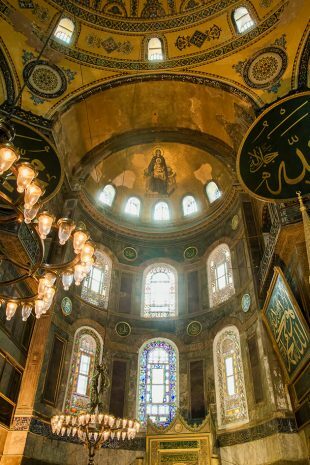 The Süleymaniye Mosque might not be as popular as the Blue Mosque, but it’s arguably more impressive. 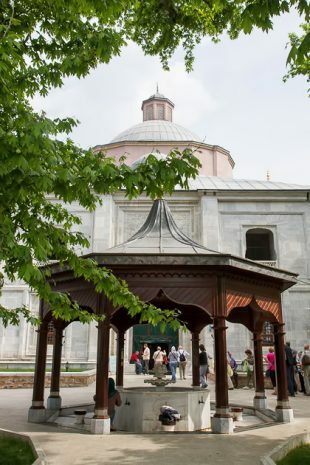 This massive complex near the university was built for Süleyman the Magnificent and includes a library, a soup kitchen, an amazing courtyard, and the tombs of both Süleyman and his famous wife Roxelana. 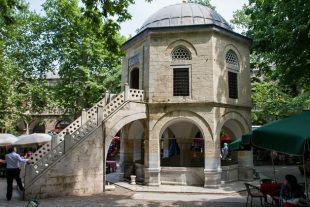 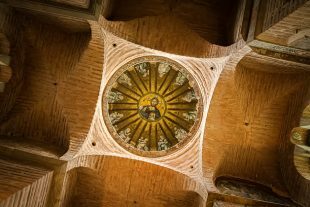 Squeezed between two amazing mosques and the covered market, Gazi Park is the heart of Bursa, and was the logical place to begin our exploration of the city. 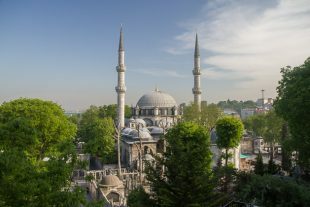 The neighborhood of Yeşil (Green), separated from the city center by the Gök Dere river, takes its name from Bursa’s most well-known sights: the Green Mosque and Tomb. 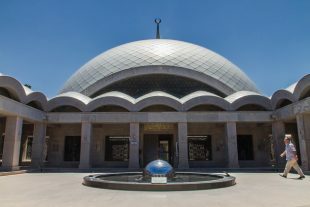 Visible from across Bursa, the mausoleum sits atop a hill and is covered in monochrome tiles of a unique light-green color.